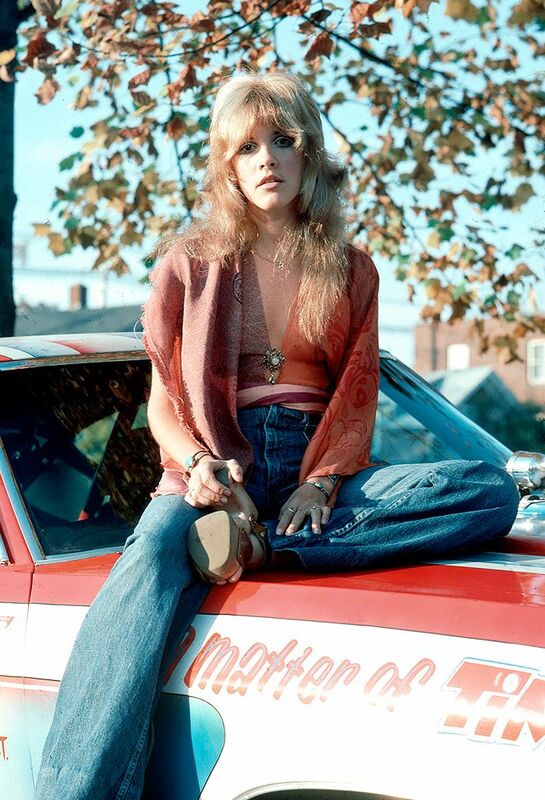 Stevie Nicks's style has always garnered a lot of attention—and for good reason. As the frontwoman of Fleetwood Mac, she has been renowned for her unique dress sense, which has pretty much remained the same over the past 42 years. The oversized, fringed pieces she still wears today—be it a blouse, a shawl or a dress—are synonymous with Nicks. Style Notes: Sure, the hat is a little out there, but Nicks has often inspired us to be more experimental with our accessories. Also, the chiffon sleeves are everything. Style Notes: Oversized billowing silhouettes is what's really doing it for us here. PS: The fringing is incredible, too. Style Notes: The tiered skirt and the over-the-top black blouse/coat seems quite right for A/W 17. Style Notes: More fringing on outerwear. Yes, please. Style Notes: An ethereal white dress is one look you might want to save for your wedding, but the tied choker? We can do that one right away. Style Notes: White lace or broderie Anglaise blouses are a Nicks classic and currently available everywhere. Style Notes: The shoulder pads and the oversized silhouette of this dress make it something we could see on street style stars today. Next up! Cabin crew share the outfits that will get you bumped up to first class.